The Second World War campaigns in North Africa, on the Eastern Front and in northwest Europe were dominated by armored warfare, but the battles in Italy were not. The mountainous topography of the Italian peninsula ensured that it was foremost an infantry war, so it could be said that tanks played a supporting role. Yet, as Anthony Tucker-Jones demonstrates, in the battles fought from the Allied landings in Sicily in 1943 to the German surrender after the crossing of the Po in 1945, tanks, self-propelled guns and armored cars were essential elements in the operations of both sides. 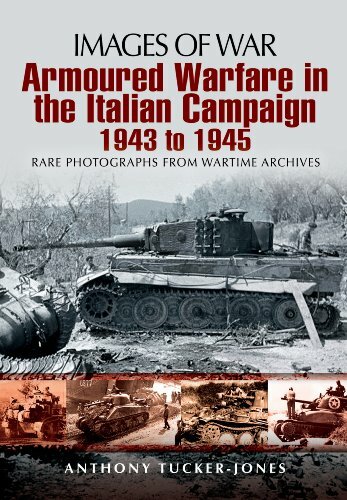 His selection of rare wartime photographs shows armor in battle at Salerno, Anzio and Monte Cassino, during the struggle for the Gustav Line, the advance on Rome and the liberation of northern Italy. In addition, they reveal the full array of Axis and Allied armored vehicles that was deployed - most famous among them were the German Mk IVs, Panthers, and Tigers and Allied Stuarts, Chafees, Shermans and Churchills. 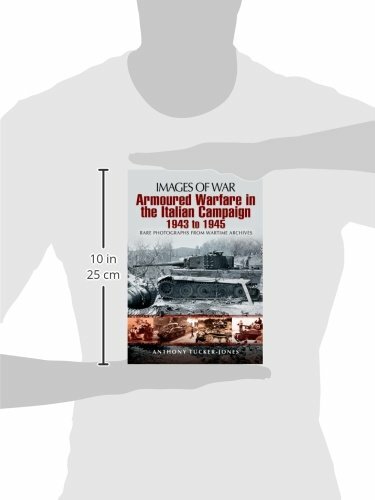 This volume in Anthony Tucker-Jones’s series of books on armored warfare in the Second World War gives readers a vivid impression of the Italian landscapes over which the campaign was fought, the wide range of military vehicles that were used, and the grueling conditions endured by the men who fought in them.